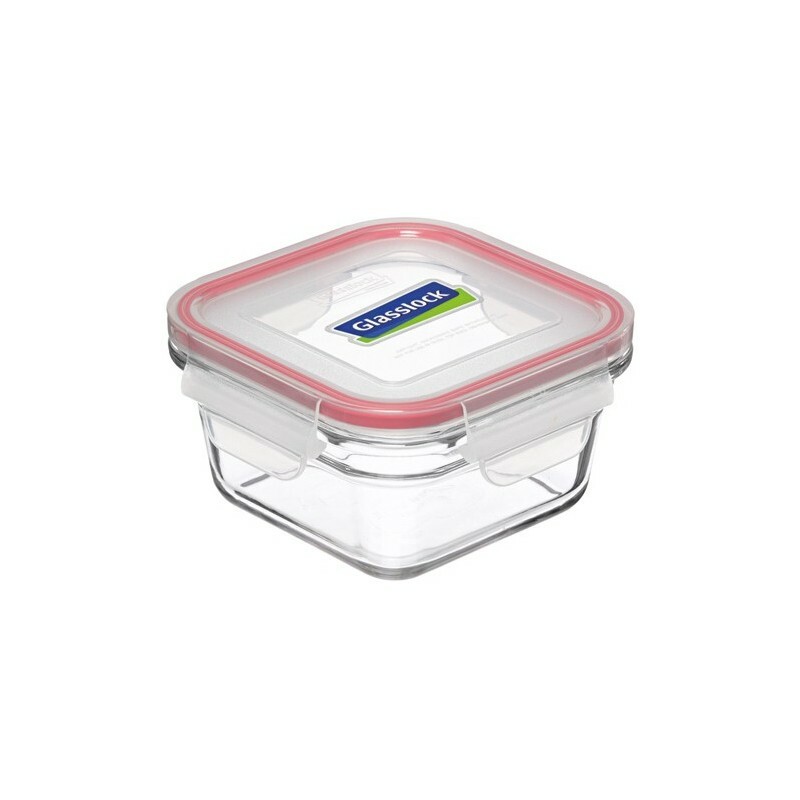 Small square oven safe glass food storage container with easy open and clip shut BPA free plastic lid. 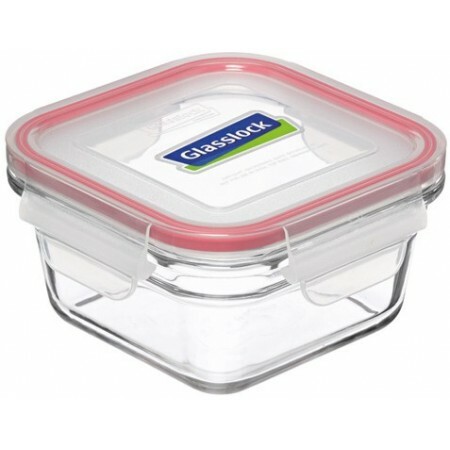 Glasslock tempered glass food containers are the perfect choice to store food or cook / reheat in the microwave. Pop leftovers in the fridge or the freezer without the need to transfer it to a new container. 405ml. RRP $19.95. No problems with these containers. Love them for freezing foods and for taking leftovers to work. Still look like new a few years on. I love this container and have about 6 in this size, they seem really small but fit a perfect portion size for one person. I take it to work every day. Very good container.